Russia's top brewer Baltika plans to launch its third brewery in Siberia. The plant will cost $US 80 MLN and will open in 2008. The brewery will be located in the Siberian city of Novosibirsk and will have an annual capacity of 2 MLN hectolitres. Baltika, owned by Carlsberg and Scottish & Newcastle, has 11 breweries in Russia. This year, after merging with 3 smaller brewers, it expanded its sales by 70 %. 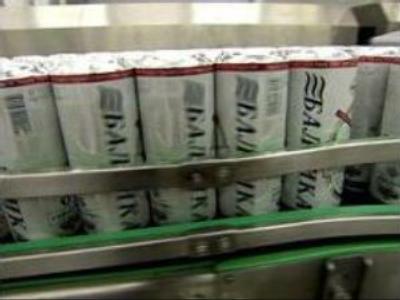 As the results of the first 9 months of 2006 show, the merged Baltika Breweries is the undisputed leader on the Russian market with a share of 36.3%. The successful development of the merged Baltica is widely recognised. Today Baltika Breweries has about 300 professional and consumer awards, among which are such awards as “People Trademark,” “Goods of the Year,” “Brand of the Year/Effie 2006,” awards of international contests Brewing Industry International Awards 2004, 2005 (UK) and European Beer Stаr Award 2004 (Germany).